Truer words were never said about Nancy Au and Dr. Philip Browning – two First 5 LA Commissioners who departed the Board in early 2017. Au, who was appointed to the Board in 2004 by then-Supervisor Don Knabe, worked in the social services field in Los Angeles County for more than 25 years. The former executive director of the Pacific Asian Counseling Services, Au was a longtime advocate for the Pacific Asian Islander community. During her tenure at First 5 LA, Au was instrumental in leading a multitude of work groups and committees, shepherding approval of the Board’s governance guidelines, providing a historical perspective for new commissioners and shaping Best Start, First 5 LA’s bold community capacity-building initiative. Commissioners also lauded Au for her ability to ask the tough questions to better help the Board make decisions that would result in the best outcomes for young children and their families. 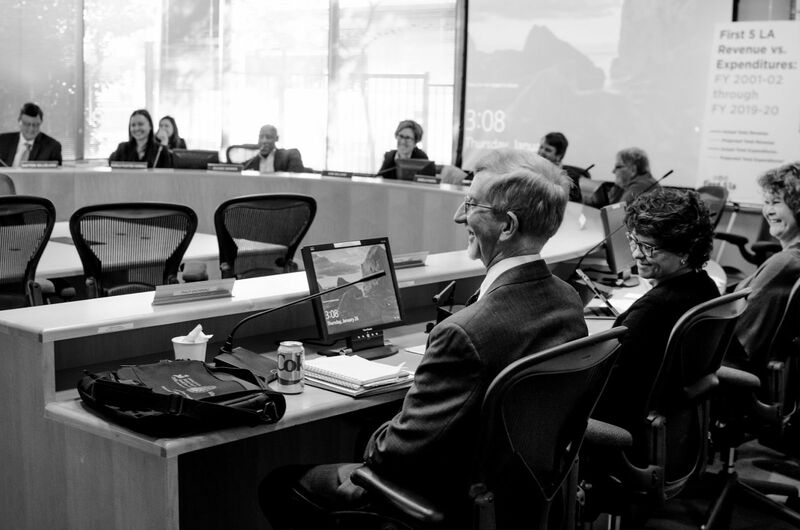 “You always asked the questions I was thinking about so I didn’t have to,” Commissioner Jane Boeckmann said during a special farewell to Au at the February 9 Board meeting. First 5 LA Board relations specialist Linda Vo presented Au with a word cloud of what the staff thinks of Au, which included: “Committed” and “Passionate”. In her farewell to the Board, Au borrowed from Ecclesiastes. The First 5 LA Board of Commissioners is comprised of 17 members (nine voting, four ex-officio, four alternates). The board includes voting members appointed by each of the Los Angeles County supervisors and the L.A. County departments of Children and Family Services, Public Health and Mental Health. The Chair of the L.A. County Board of Supervisors also serves as Chair of the First 5 LA Commission. The Board also includes representatives from other educational, children and families organizations throughout the county. 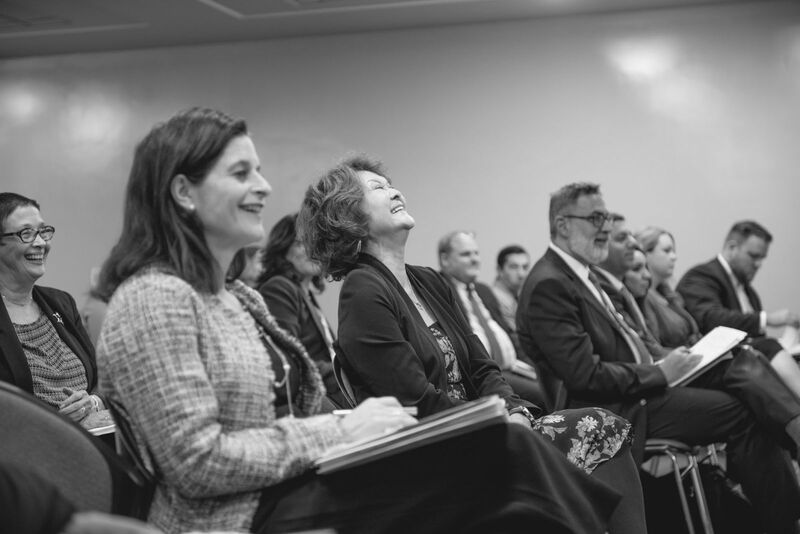 Au was replaced by the new appointee from the 4th District, Yvette Martinez, who attended her first official meeting as a Commissioner on February 23 at the Special Commission/Program and Planning Committee meeting. Martinez is currently the Director of Executive Communications at City of Hope. She is the former Deputy State Director and Senior Advisor to United States Senator Barbara Boxer where she oversaw operations in Southern California and advised the Senator on key policy issues. 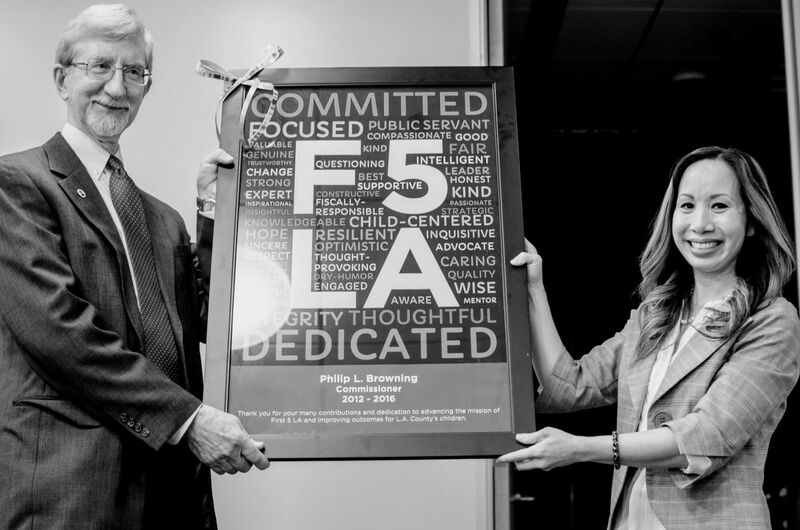 Just a few weeks earlier, at the January 26 Commission meeting, the Board bid a fond farewell to Browning, who was also stepping down after five years as Director of the Los Angeles County Department of Children and Family Services (DCFS). In her praise of Browning, First 5 LA Commission Chair and L.A. County Supervisor Sheila Kuehl praised his innovation in the department – from social worker training initiatives to equipping them with smart phones to be better able to do their work in the field. During his tenure, he also hired an additional 2,000 social workers. Browning was humble in his farewell remarks. Browning is being replaced on the Board by Commission alternate Brandon Nichols, the current acting Director of DCFS, until a new director is appointed at DCFS. In other Board moves, former Commissioner Cynthia Harding, who represented the L.A. County Department of Public Health (DPH), was replaced by new DPH Director Dr. Barbara Ferrer,who attended her first Commission meeting on February 9. Linda Aragon will remain the alternate Commissioner for DPH. Ferrer most recently served as the Chief Strategy Officer for the W.K. Kellogg Foundation, where she oversaw the foundations key program areas, including Education and Learning; Food, Health, and Well-Being; Family Economic Security; Racial Equity; Community Engagement; and Leadership. Previously, Ferrer served as the executive director of the Boston Public Health Commission and Director of Health Promotion and Chronic Disease Prevention and Director of the Division of the Maternal and Child Health at the Massachusetts Department of Public Health. Another recently appointed Commissioner is the county Department of Mental Health’s new director, Dr. Jonathan Sherin. Joining the Board in December, Sherin replaces Dr. Christopher Thompson, who will remain as an alternate Commissioner for First 5 LA. An award-winning psychiatrist and accomplished neurobiology researcher, Sherin has a wide range of professional experience. Most recently, he served as both the chief medical officer and executive vice president of military communities for Volunteers of America. Sherin is also a leading authority on the care of veterans struggling with trauma and reintegration challenges, leading a distinguished career in the Department of Veteran Affairs (VA) where he held various clinical, teaching, research and administrative leadership positions. Sherin, Ferrer and Martinez will be interviewed in a future issue of the Early Childhood Matters newsletter.